A golden bitter with floral citric hop aroma. 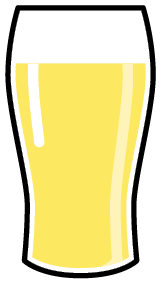 It has a predominantly hoppy taste which is slightly sweet and fruity. It definitely leaves you wanting more! The Pitchfork rebellion of 1685 was the last battle to be fought on English soil of the Civil War and took place around Sedgemoor, near where we’re based. 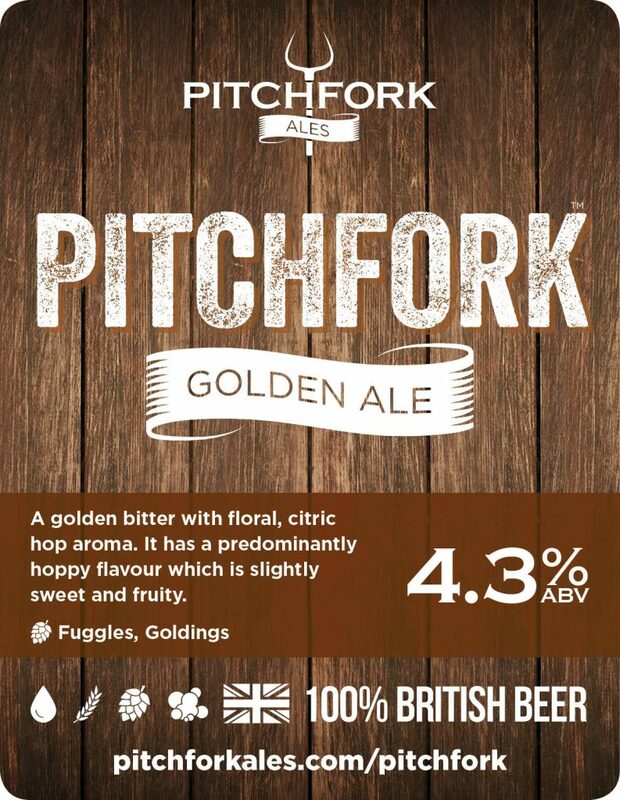 Pitchfork is available in cask at various pubs..
Pitchfork is 100% British Beer! All of our beers are entirely, and proudly, British. 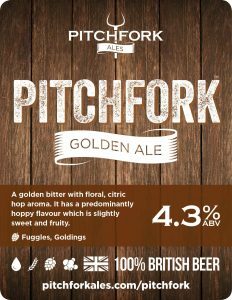 From our West Country water, through the traditionally floor malted barley and English hops and yeast, you can be confident that Pitchfork is 100% British.